Family owned and operated since 1993, we offer many services for our customers. 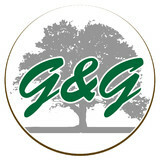 Whether you are commercial or residential, G & G can provide tree service, lawn care, landscaping, stump removal, fertilization, snow removal, and more! The employees at G & G lawn care & tree service inc in Imperial are top notch and will do the best job possible. All of our applicators are state licensed fertilizer specialists. Our company is insured with both worker's compensation and general liability for your protection. 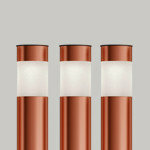 We can guarantee the best work possible for your projects! Allen’s Tree Service Inc. is a complete tree, plant health care, and landscaping company. We are family owned and operated since 1978. Allen’s Tree Service Inc. is fully committed to providing our clients with personalized and professional arbor, plant health care and landscaping services. Allen’s Tree Service Inc. serves both commercial and residential properties in St. Charles, St. Louis, Warren and Lincoln Counties. Not only are we fully insured with general liability and worker’s compensation but we go above and beyond for your protection by carrying an additional umbrella policy, which is very important in our industry. Allen’s Tree Service Inc. is accredited by the TCIA (Tree Care Industry Association). You can learn more about the accreditation by going to www.tcia.org. We will continue to build our reputation as being a knowledgeable, professional, and reliable arbor, lawn, plant health care and landscaping company. We are the only company you will need for any of your tree, lawn, plant health care, or landscaping services. We have a very competitive pricing structure and work closely with our clients to ensure consumer satisfaction. MFS has always been a leader and innovator in offering the cutting edge research and technology in our arboriculture program. Our staff attends regular arboriculture seminars, classes, and meetings to maintain our Registered Consulting Arborist, Certified Arborist, Certified Forester, and Certified Pesticide Applicator status. We want to offer you the best and information concerning your trees and landscapes. Our 33 years of experience in “hands-on” arboriculture and problem solving in St. Louis landscapes makes us the best. We are a professional tree service located in O'Fallon, Missouri offering a variety of tree care services. 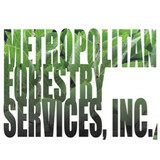 Or services include tree removal, stump removal, tree trimming, tree planting, fertilization, and emergency tree care. We work all over the St. Louis metropolitan area and have extensive experience in both urban and suburban environments. We have a highly knowledgeable team that is both bonded and insured - greatly lowering the risk to customer property. We believe in the recovery of trees that don't need to be removed and offer free tree consultations. This allows our experts to inspect trouble trees and make informed decisions before a financial obligation is made by our customers. If it's unsightly, overgrown, out of control, messy, or just in your way...we can cut it down, cut it up, rip it up, rip it out, tear it down, tear it up, chop it up, pile it up, pick it up, haul it off...Limbs R Us! 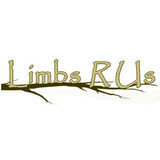 Limbs R’ Us specializes in overgrowth in trees, shrubs and fence lines by bringing homes back to a comfortable state of mind. If you have a yard that needs some TLC give us a try. We haul away all debris. Limbs R’ Us strives to be a great impact in the St. Louis Metropolitan area. We have been in business since 2009 and are growing each year with a steady rise in clients. We accept cash or check and minimum payment arrangements can be made, along with Senior Citizen discounts. We are insured! Since 2002, Pat's Tree Service has been supplying quality & affordable tree care services in Saint Louis, MO. Give us a call for your Tree Service, Stump Removal, Stump Grinding, Tree Trimming, Yard Cleanup, Gutter repair and or Replacement. Specializing in residential and commercial lawn service in St. Charles and St. Louis Missouri, Loyalty Lawn Care can be trusted as your lawn service provider! Loyalty Lawn Care is driven by customer satisfaction, so they take the time to ensure you are receiving the highest quality of lawn care service. 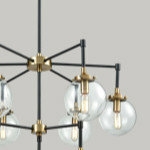 They have 20 years of experience and are dedicated to the needs of each of their clients. This is why they strive to exceed expectations and take pride in the services that they provide to businesses and residences alike. Their services extend from perimeter pest services to installing high quality flower displays, and they only employ workers who have been licensed through the Missouri Department of Agriculture. With experienced growers and lawn care technicians, they can take the time to provide a beautiful landscape that can improve your property value. For great landscaping services, call to speak to a friendly member of the team who can give you a free quote! Timber Warriors is the nation’s largest provider of the Tree and Tarp Program, who specializes in working with insurance companies, municipalities, and government agencies to deliver comprehensive, emergency services. Timber Warriors manages the most successful and streamlined Tree Service Contractor Network in the nation; a nationwide network of professional, licensed and insured members who are strategically located throughout the United States. Whether you're an insurance adjuster looking for a simpler and easier way to serve your clients, a homeowner who's just had the unimaginable happen (such as a tree falling on your house) or a tree care company owner wanting to provide quality services to a wider range of customers, Timber Warriors is here to help! Gamma Tree Experts has provided high quality tree and shrub care since 1954. Family owned and operated, we are known for our quality and integrity. What could be more satisfying than knowing you chose the company that would do the best job. Our customers have that assurance. They like our professionalism, our responsiveness, and they like doing business with a company where quality is of prime importance. Our experienced staff of horticulturists and certified arborists are dedicated to preserving and protecting your growing investment. 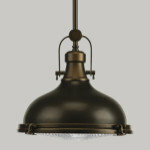 We have the knowledge and equipment to handle any size residential or commercial project. In addition, our associate company, Shield Shade Tree Inc., has provided planned programs in tree maintenance since 1926. Acquired in 1993, Shield Shade Tree has a rich history in arboriculture. 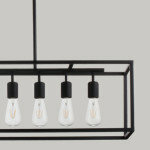 A company philosophy deeply rooted in the quest for excellence. Our commitment to you is to do the job right, using trained employees, the best equipment and sound horticultural principles. More than premium tree care company, Gamma Tree Experts cares about you the customer. 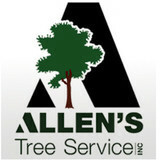 Allan Tree Service is the foremost tree services provider in the Alton area. Our professional arborists have the knowledge and tools to handle a wide range of tree work from pruning to bracing and removal. We can inspect trees for potential structural weaknesses and take appropriate action to help our customers avoid storm damages. Additionally we offer firewood delivery and specialize in a number of general landscaping installation services. Your Town and Country, MO tree service professional or arborist might work in conjunction with another landscape professional to create a seamless landscape design. Here are some related professionals and vendors to complement the work of tree services: Landscape Contractors, Landscape Architects & Landscape Designers, Garden & Landscape Supplies. Find tree service professionals on Houzz. Look in the Professionals section under Town and Country, MO tree services. You can look through portfolios and read reviews to see what past tree care clients have to say.